Homes and a school for 172 children could be destroyed if the Supreme Court rules against the Khan al Ahmar community on Wednesday. Metres away from a busy highway, Israeli trucks whizzing past, a poster blows in the wind displaying the name of a Bedouin village, Khan al Ahmar. 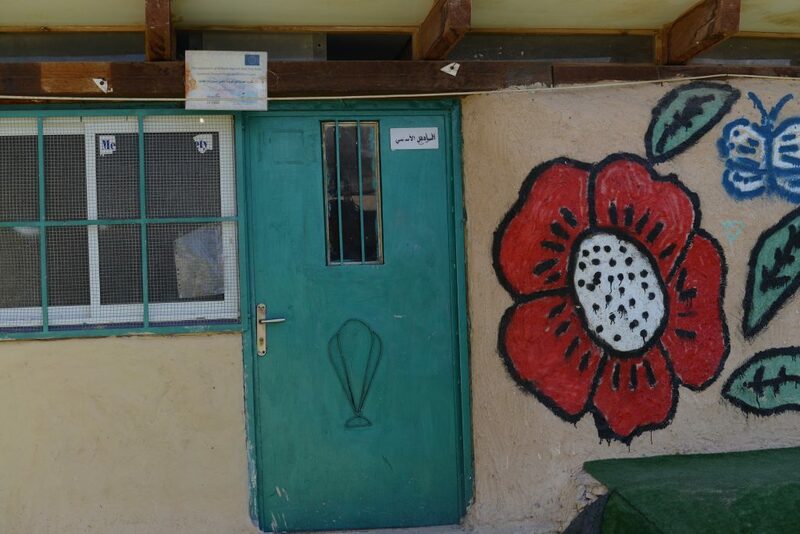 Next to it is a message written in Hebrew about the demolition orders that the Israeli Civil Administration (ICA) have served on the village, part of the Jahalin community. On 5 March 2017, the ICA issued orders on all the structures in Khan al Ahmar. The village consists of 34 families; 190 people in total. 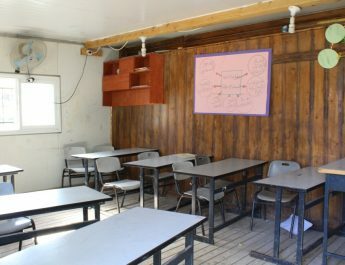 Residents were given seven days to deconstruct their own homes and a primary school, which serves 172 children from Khan el-Ahmar and surrounding areas. The village’s Israeli lawyer, Schlomo Lecker, applied for an injunction against the demolitions and international pressure has helped delay them further, but time is running out again. Wednesday 25 April is the community’s final appeal against the demolitions, to be held in West Jerusalem’s Supreme Court at 10am. It is their last chance. All the members of the community applied for permits to enter Israel and attend the hearing, says community representative Eid Jahalin, but they are all still waiting. Concerns have been raised by the community and solidarity activists that the judges have been hand-picked for their right-wing stance. One of them is Justice Noam Sohlberg, who lives in the Gush Etzion settlement bloc near Hebron. Solidarity groups have called for him to stand down due to a conflict of interest, but this hasn’t happened yet. What will happen if the court doesn’t rule in the community’s favour? “We will stay until we are forced out”, says Eid. “We don’t have a choice”. 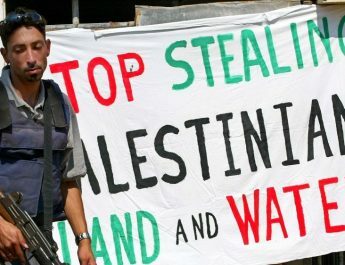 The Israeli government wants to force Khan al-Ahmar and other Bedouin communities out of the so-called E1 area; an area that the Israeli Civil Administration intends to annex in order to connect East Jerusalem to the Jordan Valley. If implemented, the plan will effectively divide the West Bank into two. Meanwhile, Israel’s Civil Administration have been doing all they can to harass the community. Vents for a sewage pipe for surrounding settlements have been relocated next to the village’s school. When the vents are open, the smell means that the school has to close. The school was funded by the European Union. “I want to tell you about the school”, says Eid Jahalin, ushering us into Khan al Ahmar’s ‘tyre school’, constructed in 2009 with old tyres, he says, because Israeli authorities told them that they weren’t allowed to build structures made from bricks or stones. It turns out that Bedouin communities living in Area C of occupied Palestine aren’t allowed to build any structures at all. The last home demolition in the community was in 2015, because the owners extended it by three metres. It has since been rebuilt. 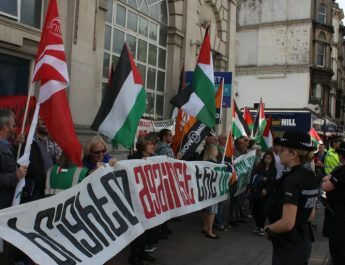 Eid tells us that the last three demolitions in the area have been carried out by the Israeli military using bulldozers manufactured by international companies, Caterpillar and JCB. Solar panels that have been donated to the village were also removed by the Israeli military. After one and a half years, they were returned after a court case ruled in the community’s favour, but 35 percent of them had already been destroyed. Eid Jahalin says he asked Schlomo Lecker what the worst-case scenario would be, when they met last week. The lawyer told him that the ICA could destroy the structures in the village and make the area a “closed military zone” and cut off our electricity and water. 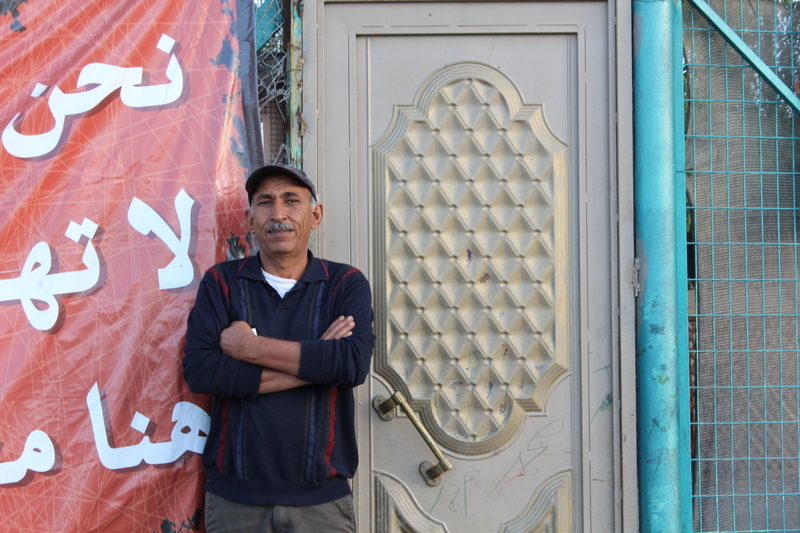 Eid tells us that the “only hope” remaining for the village is for people to “put pressure on the Israeli government and the Supreme Court before the hearing on Wednesday”. For ideas of how to take action wherever you are see www.jahalin.org and this Rebuild Alliance factsheet. Thanks to Hani Khamees for translation.